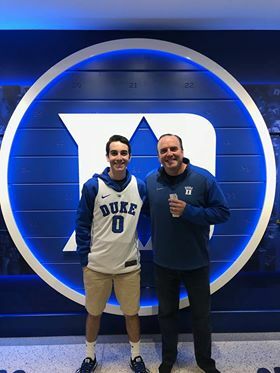 Hayden is a Sophomore from Duke University majoring in mathematics and computer science. He is involved in various tech-related activities on-campus as well as off-campus, and will be interning at IBM this summer. Hayden kindly took his time off his busy schedule to answer some questions and offer some advice to the TECHRISE community! Q1. Tell us a little it about yourself! I was born in California and was raised in Arizona. 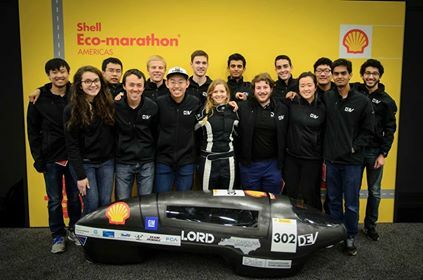 At Duke, I am involved in a club called Duke Electric Vehicles that builds an electric car for the Shell Eco-Marathon Competition. For this club, I am a member of a telemetry team that develops programs to measure the efficiency data of our car. 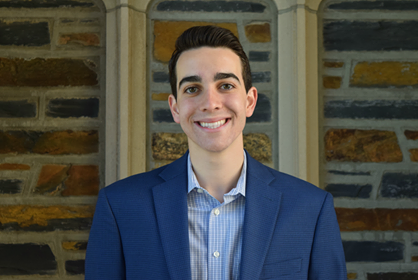 I also have worked for a couple start-ups, am a head teaching assistant for a programming class at Duke, and am involved in a living group on campus. Q2. What got you interested in coding? I actually had very little coding experience before going to college. I have always been interested in math as well as finding methods to solve complex problems, so computer science seemed like a perfect fit. After I took an intro class at Duke, I realized that coding opens the door to a whole world of creating and building. My IBM journey started at a tech career fair on campus. At these events, there are booths with representatives from big tech companies like IBM, Google, and Facebook who you have to wait in line to talk to. I struck up a great conversation with a woman from IBM who told me about the internship opportunity and encouraged me to apply. After making it past the initial resume screening, I was given a math and programming test. From there, I had a few technical interviews (most of which involved data structures and algorithms such as linked lists, heaps, hashes, and asymptotic run-time). After that, I made the final stage which was an interview with the head of the program. This interview was mostly about my past experience and whether or not I would be a good fit for the company culture. Q4. What are your future goals? While I am working on a few start-up projects of my own, I think working at a large tech company like IBM will be a great experience and maybe a future path for me to pursue because of the incredible and innovative work being done at such companies. Ultimately, whatever I am working on, the most important aspect for me is to enjoy the work I am doing and know that I am making a genuine impact. My biggest advice is to continue programming and know that coding enables anyone from any background to change his or her community and solve real-world problems. They should also undertake as many side projects as they possibly can and use every opportunity available to learn from mistakes that come along the way. Thank you so much Hayden!